Daniel Descalso hit his first career home run, a go-ahead three-run shot in the seventh inning, to lead the Cardinals to a 7-5 victory over the Florida Marlins on Tuesday night at Busch Stadium. 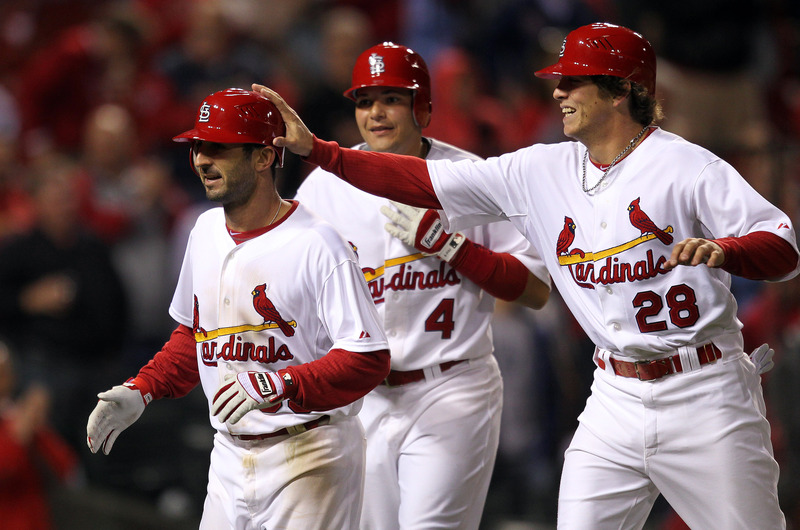 The Cardinals get to a .500 record at home with their seventh win. Matt Holliday hit a two run homer in the first inning, his fourth of the year, and Lance Berkman tied his career best with three walks, but left the game in the seventh with leg tightness after getting thrown out in a rundown. He’s hopeful he can play Wednesday night. The Cardinals had a chance to really blow this game open against Marlins starter Anibal Sanchez, twice loading the bases, but only being able to come up with one run. Sanchez walked six in 4.1 innings. Meanwhile the Marlins battled back from a 3-0 lead with a few cheap hits and scraped their way to a 4-2 lead after the top of the fourth against Cardinals’ starter Kyle McClellan who did well allowing just six hits in five innings while walking two and striking out two. Colby Rasmus tied the game in the fourth with an RBI single, but Florida regained the lead at 5-4 on an RBI single from Gaby Sanchez who had four hits on the night. The Cardinals are scoring runs, and doing it without the help of Pujols. He was 0-for-5 with his league-leading 10th double-play ball and stranded six runners his first three at-bats, as his average to .231. Pujols is in a 4-for-25 slump and hasn’t had an extra-base hit in nine games.